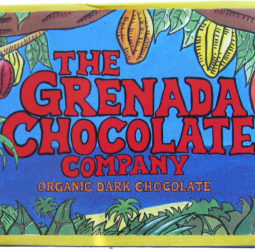 A loving and inspirational tribute of Mott Green, founder of the Grenada Chocolate Company. Material received from several online sources and many who contributed photos. First viewing was at the Institute of Culinary Education in New York City on June 30th, 2013 and was attended by Mott’s mother Judith Friedman and many of Mott’s friends and colleagues in the chocolate world. Made possible by: Maricel Presilla, Direct Cacao and the Manhattan Chocolate Society.